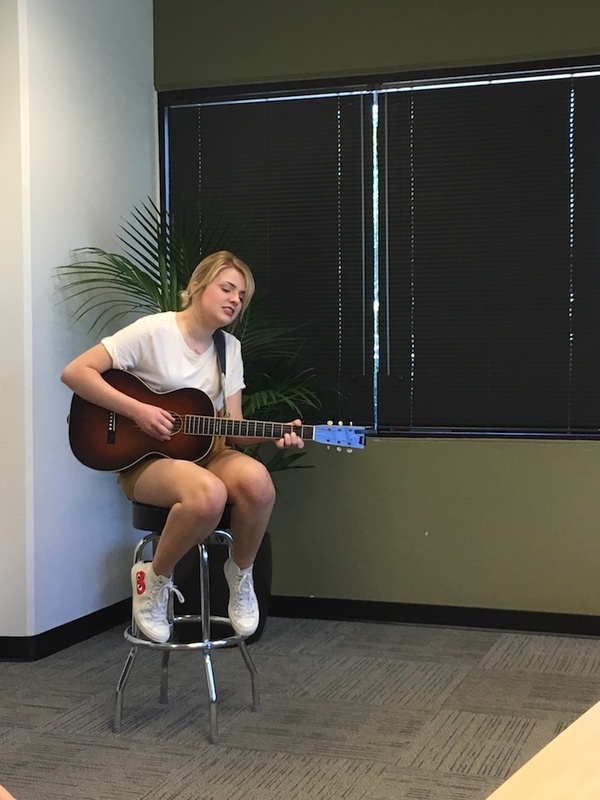 Our San Diego office was treated to a special unplugged back-to-back showcase this week with In Real Life and recent American Idol winner, Maddie Poppe! These artists are currently on the 40+ city American Idol: Live! 2018 summer tour, which features the top 7 finalists from the latest American Idol season. Maddie showcased her catchy debut single “Going Going Gone,” followed by her initial American Idol audition song, “Rainbow Connection.” A true full-circle performance. Maddie has a very pure quality to her voice, and it’s no surprise that she was crowned the winner of AI season 16. 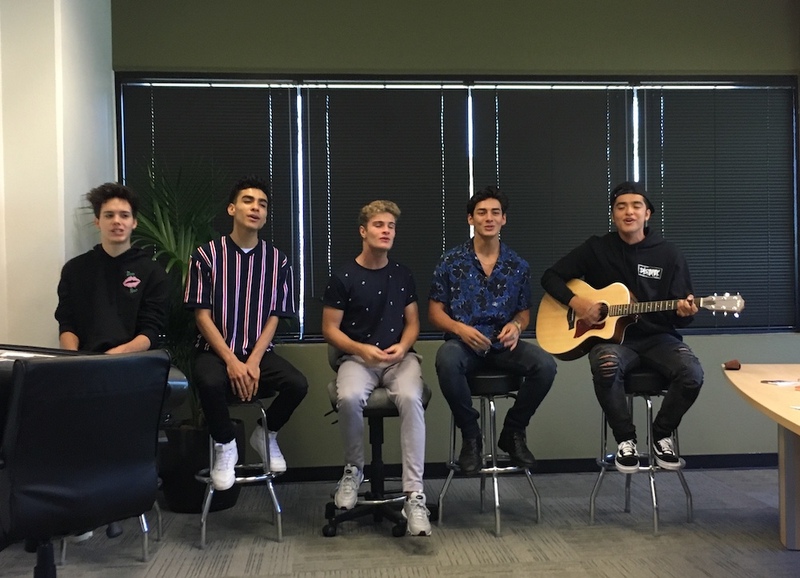 In Real Life is comprised of Brady Tutton, Chance Perez, Drew Ramos, Sergio Calderon, and Michael Conor, who are the five finalists of the 2017 reality competition show, Boy Band. The group opened with their debut single, “Tattoo (How ‘Bout You),” which reached #29 on Billboard’s Mainstream Top 40 chart last month. Keeping the energy flowing and the five-part harmonies synced, they played a cover of Camila Cabello’s “Havana,” featuring Michael Conor on violin. The guys closed out the showcase with their latest single, “Tonight Belongs To You,” a shimmering summer pop song with a Latin-flair. 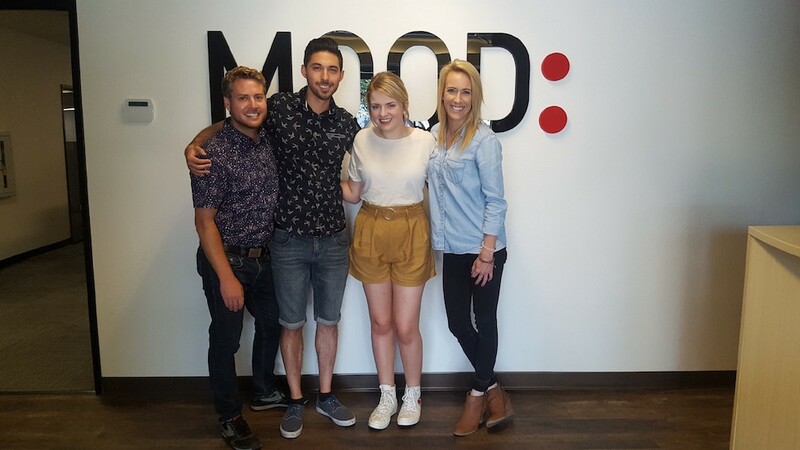 Maddie Poppe and In Real Life can be heard on several of our Custom and Core Programs. 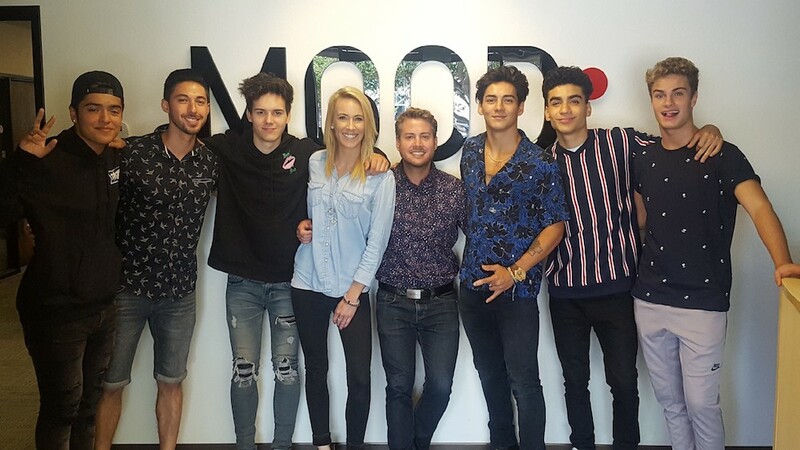 Special thanks to our friends at Hollywood Records for coordinating this showcase!